Introducing the new 14.1" Inspiron laptop, available in 8 colors. Packed with long-ranging wireless options and cutting edge technology. Backed by smart, simple service options. The latest Intel Core 2 Duo processors leverage two execution cores on a single chip, to enable your laptop to run even the most intensive applications smoothly. Mobile Broadband allows you to get a hi-speed internet connection wherever your cell phone service is available, reducing the need to worry about available hot spots* from your wi-fi connection. Dell’s Wi-Fi catcher helps find the strongest wireless signal and connects you to it. 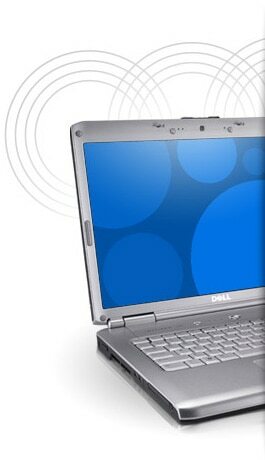 Enjoy enhanced wireless reception with Dell’s exclusive Hyperband Multi-Antenna, featuring three antennas designed to find and connect to networks with ease. With Dell MediaDirect, you can have fast, easy one-button access to movies, music, photos, & Microsoft Office content without starting Microsoft Windows! Select from the latest high performance graphics solutions to make your visuals come alive. 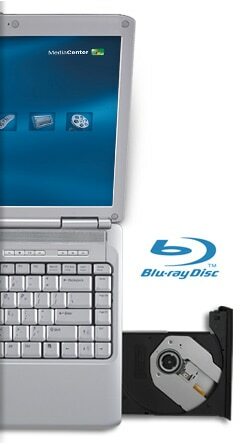 Enjoy lifelike games, crisp digital photography, smooth Windows Vista performance, and stunning Blu-ray DiscTM playback. The display on the laptop is the window into your digital memories. High-resolution, UltraSharpTM displays give your movies and photos more life -like images with crisper and clearer detail. The ultimate video playback experience on the go. Inspiron laptops feature top-side media buttons, so you can play, pause, stop, fast-forward and rewind – all with the touch of a button. * Fun to use. Easy to control.